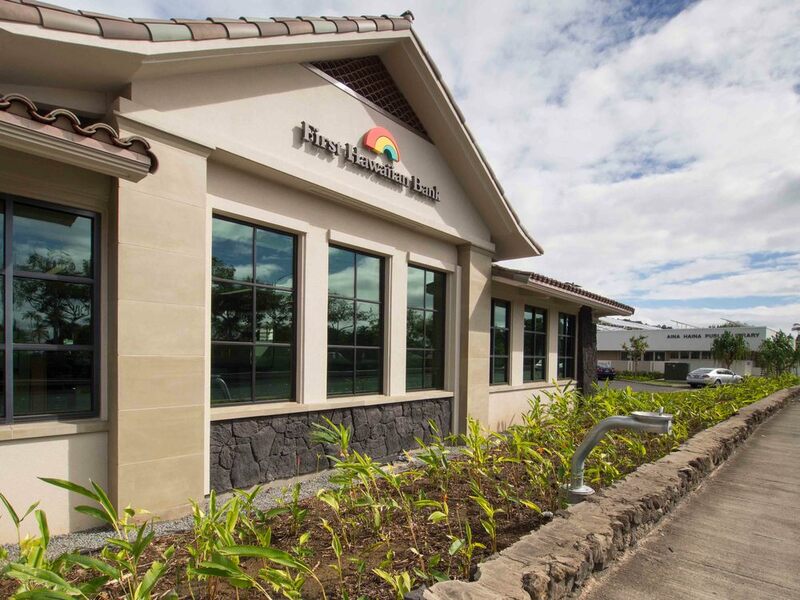 First Hawaiian Bank Aina Haina is a 6,000 square feet single-story building along Kalanianaole Highway. 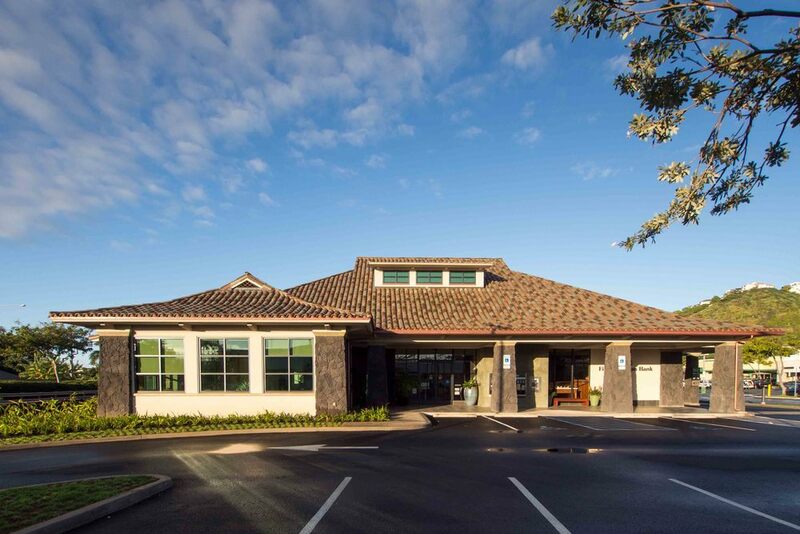 Its Hawaiian double-pitched hipped roof, stone veneer accents and warm color scheme create a sensitive response to the residential context of Aina Haina. 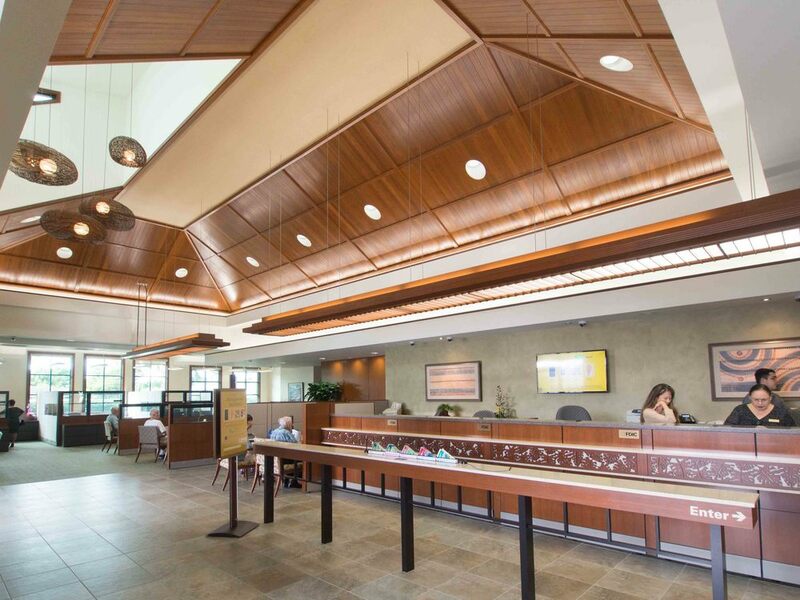 The overall character of the building is tied to the client’s long history in Hawaii. There are PV panels on the west facing roof that reflect the community’s as well as the client’s commitment to sustainability. The entry features a covered arcade with battered lava rock veneer columns that also flank the corners of the building. The site features a two lane drive-thru teller and ATM. The lobby features a vaulted hard wood ceiling and a shed dormer with clerestories over the entry that let in natural light. 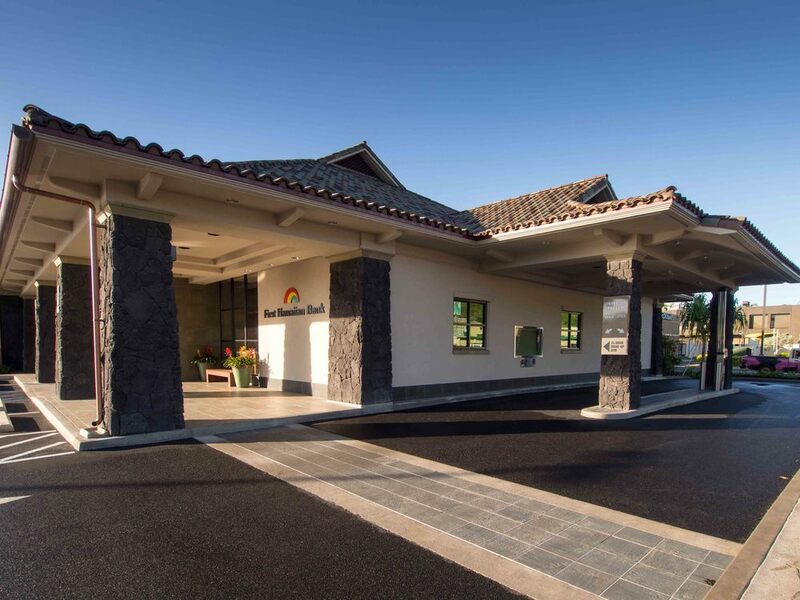 There is on-site parking and a new sidewalk that separates the bank from the rest of Aina Haina Shopping Center. In addition to the landscaping that surrounds the project, a drinking fountain is provided along Kalanianaole Highway as an amenity to the public.